Item # 297895 Stash Points: 1,695 (?) This is the number of points you get in The Zumiez Stash for purchasing this item. Stash points are redeemable for exclusive rewards only available to Zumiez Stash members. To redeem your points check out the rewards catalog on thestash.zumiez.com. 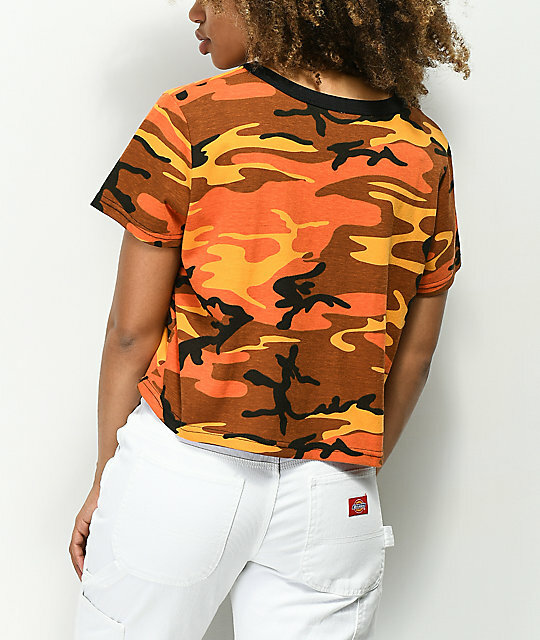 Get a chill look with the Orange Camo Crop T-Shirt from Rothco. This lightweight tee features an orange, brown, and black camouflage print and a contrasting solid black banded collar trim. 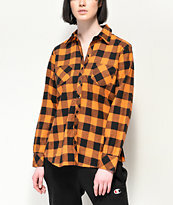 Rothco gave this short sleeve shirt a slim cropped fit cut from a soft cotton blend. 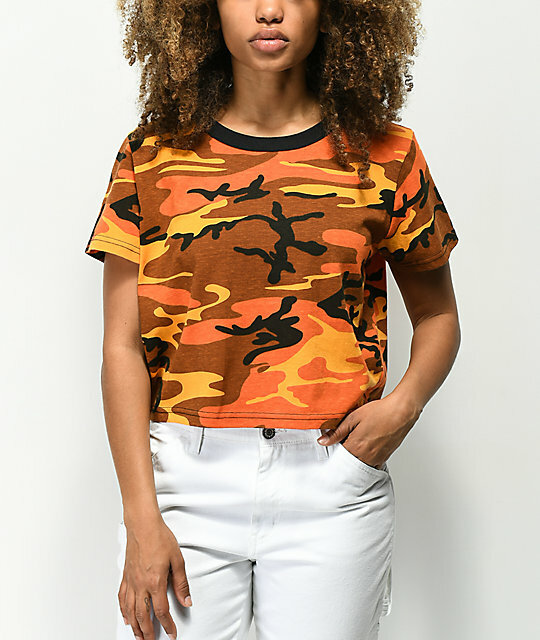 Orange Camo Crop T-Shirt from Rothco. 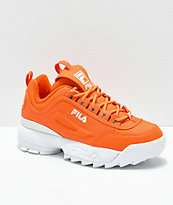 Orange, black & brown camouflage print. Black ribbed banded collar trim.